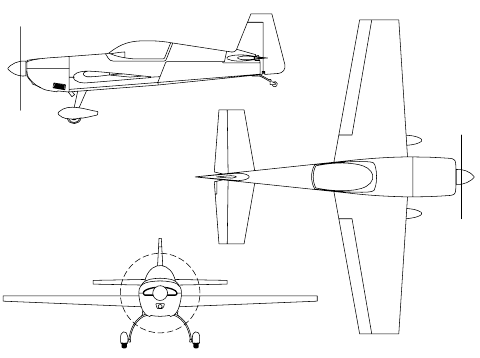 The EXTRA 300S is a single seat, low-wing high performance aerobatic aircraft. It's structure is mainly built from steel tubing and carbon fiber allowing the aircraft to withstand positive and negative loads of up to 10 G's. Driving all this to more than 400 km/hour is a six-cylinder 300 horsepower Lycoming engine with a four-bladed propeller. To reduce environmental noise below 74dB the aircraft is equipped with a special exhaust system and the before mentioned four-bladed propeller.